According to those that specialize in pest studies and control, populations of web-building spiders typically increase during the spring months. During the fall months, it is common for web-building spiders to seek out refuge in buildings as the interior areas of these structures are typically much warmer than the exterior. During the winter months, these spiders often hide in the cracks, crevices, and other regions of the buildings that they invade. Reproduction typically takes place during this time. By the time that spring arrives, not only do you have the issue of lingering adult spiders, but, you may find yourself facing the issue of baby spiders, too! In this brief guide, you will learn about web-building spiders that you may discover in and around your home this spring. Generally speaking, there are two types of spiders. The first type is referred to as wandering spiders and the second type are referred to as web-building spiders. These are spiders that build silken-type webs that they use to capture their prey. Many of these spiders create webs that are designed to capture prey that fly. Examples of these spiders include the cobweb web weavers and the orb web weavers. Then, there are spiders that build webs that are designed to capture prey that move or wander near or on the ground. 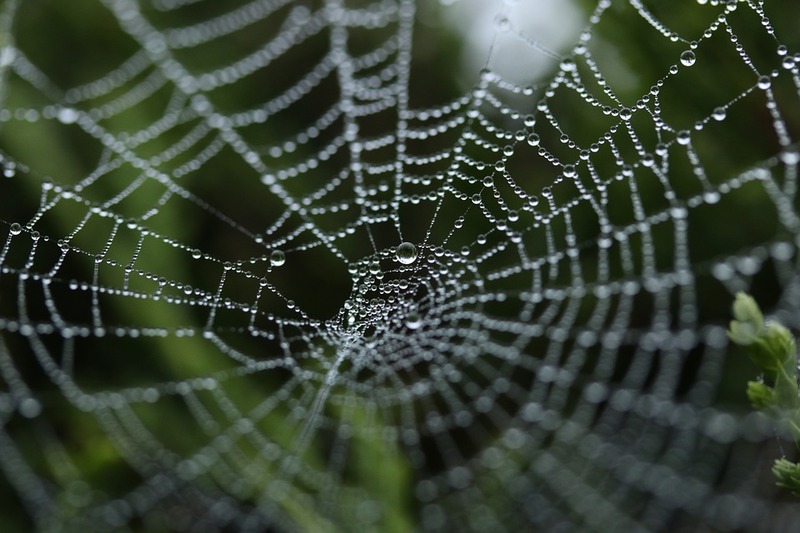 Examples include the funnel web spider and the spiders that create the sheet web. In most instances, the adult spiders will stay with the web that they create; however, the male adult web-building spider may leave its web in order to seek out a female spider for mating purposes. Long-Bodied Cellar Spider – This type of web-building spider constructs webs that are loose and resemble tangles. In most instances, the webs are built in the corners of rooms that have very little light. The most common locations where these are found are in the cellar of a home, underneath stairs, and areas that are less frequently used by people. These spiders are brown in color, have long and very thin legs, and are said to resemble the daddy-longlegs of the arachnid order opiliones. False Black Widow – This web-building spider builds cobwebs that are capable of capturing flying insects, other types of spiders, and even wandering insects. These spiders may often be found hanging in an upside down fashion within their web. When engaging in this activity, they are waiting to capture prey. You will often find these webs in crawl-spaces, garages, and other areas that are not often used. Cobwebs may be located near the ground or near the ceiling. These spiders are typically brown and have very large abdominal areas. European House Spider – These web-building spiders build webs that resemble funnels. You will often see these webs in areas that are dark and moist. The sheet webs are used as a refuge when waiting on prey. When these spiders move away from the web, it is typically a male in search of a female mating partner.